Would you like to purchase the best vacation investment of your life? 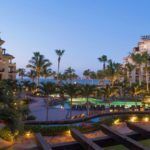 You can do that if you purchase a timeshare with Villa Group Timeshare Resorts as you will experience the best beaches in Mexico along with staying in the best hotels and resorts. The Villa Group Timeshare Membership in Riviera Nayarit allows members to stay at the Villa del Palmar Timeshare Flamingos resort in Mexico, which is a prime location in Banderas Bay that is located between the airport and Bucerias. What’s Wonderful about Villa Group Membership in Riviera Nayarit? There are several reasons that makes Villa Group Timeshare Membership in Riviera Nayarit so wonderful: the best resorts, hotels and activities can be found in this sunshine city. You can access the Villa del Palmar Flamingos resort by taxi when you exit the Puerto Vallarta International Airport. 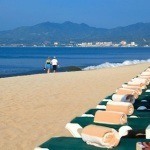 The resort has the perfect location on Banderas Bay. Being a Villa Group Member will allow you access to many activities that include spotting whales from your personal balcony during winter months, and walking down the beach or boardwalks down at the Nuevo Vallarta Marina or the Malecon boardwalk in Puerto Vallarta. November thru May is the perfect time to join in the art walks that are featured in Puerto Vallarta and Bucerias, then head down to Banderas Bay for the Farmer’s Market. Other times of the year you can ride horses, ATV’s, or paddle board, kayak, dive and snorkel. Diving is one of the main activities to do in the summer months. 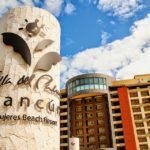 The top rated family resort in Nayarit is the Villa del Palmar Flamingos, which even Trip Advisor rated Villa del Palmar Flamingos among the best family resorts in Mexico. This alone makes being a Villa Group Membership more valuable. The resort allows you to have a beachfront access, the best swimming pools, spas, gym, and the restaurant dining is outstanding. We give our members an all-inclusive meal plan that allows you to dine anytime, and enjoy the best cuisine at the resort. What makes Villa Group in Nayarit the perfect timeshare choice are the accommodations. Villa Preferred Access membership allows you to have the best penthouses, suites and rooms. You can upgrade to the preferred access membership anytime of the year or bank or borrow points to stay in the best suites at any time. Being a Villa Group Timeshare member allows you to have the best vacation anytime of the year. 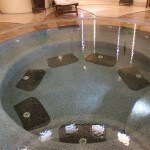 Share the post "Top Villa Group Destinations – Riviera Nayarit"